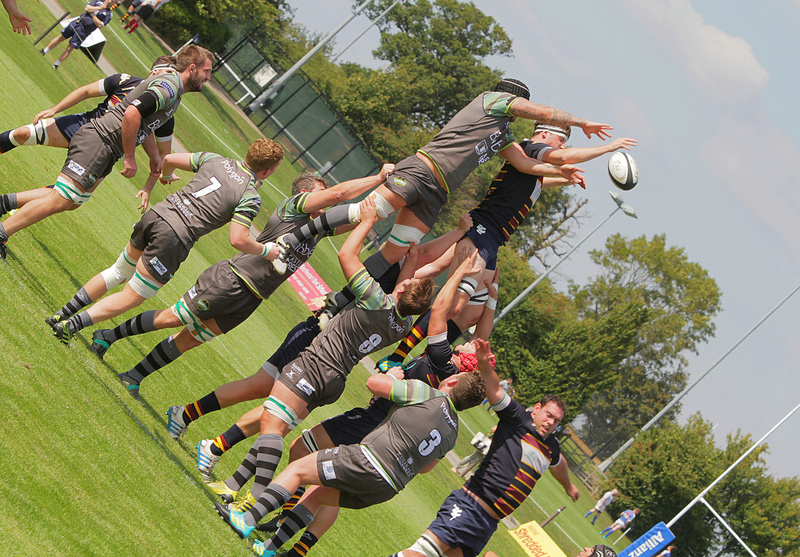 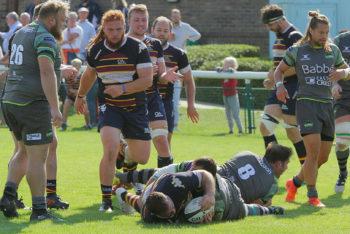 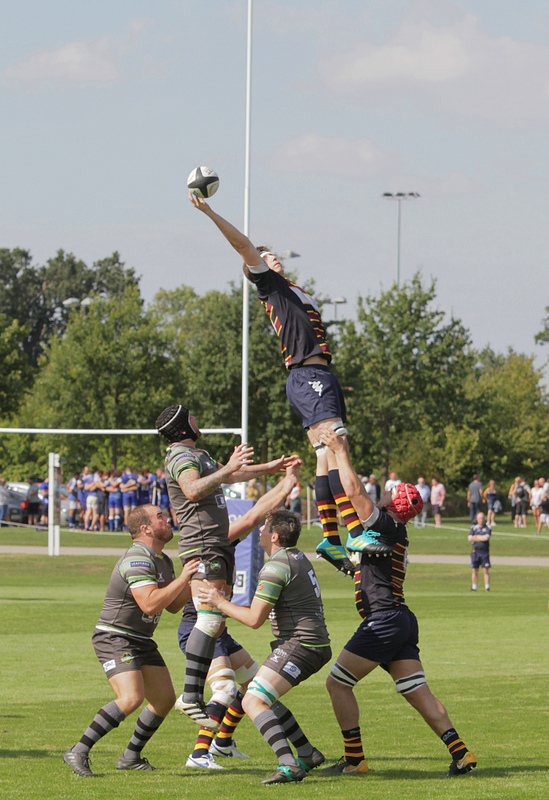 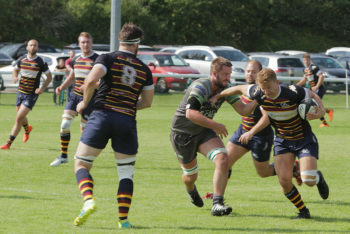 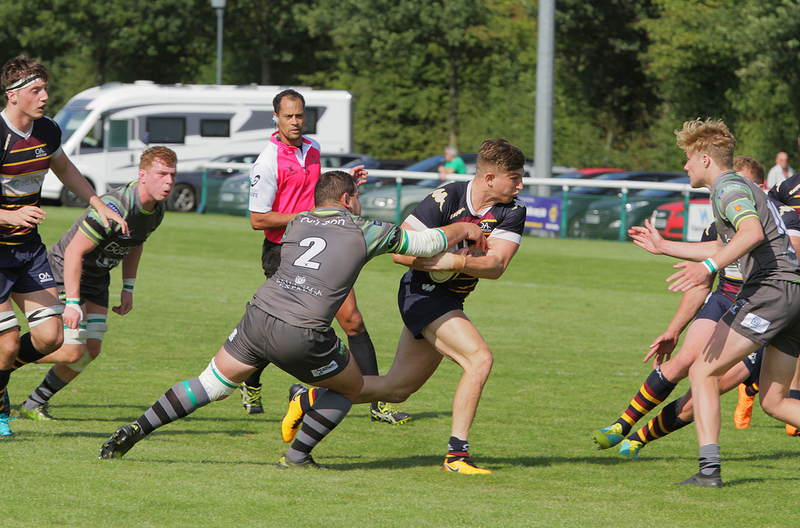 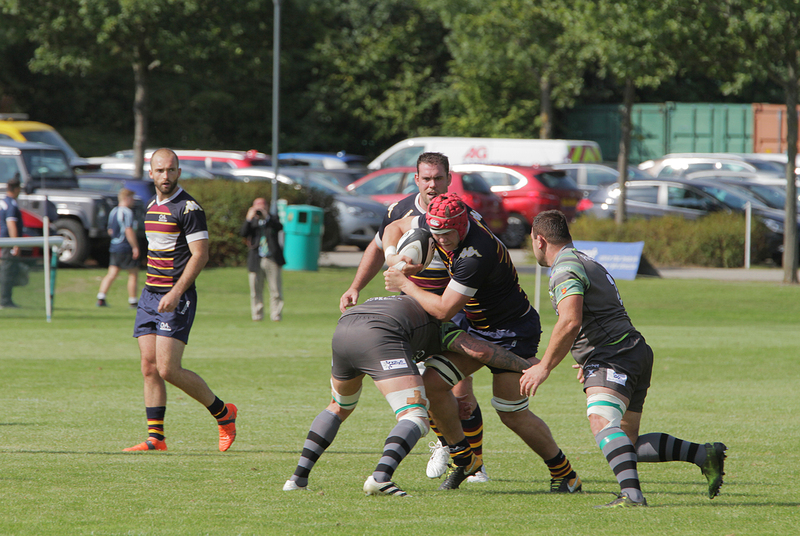 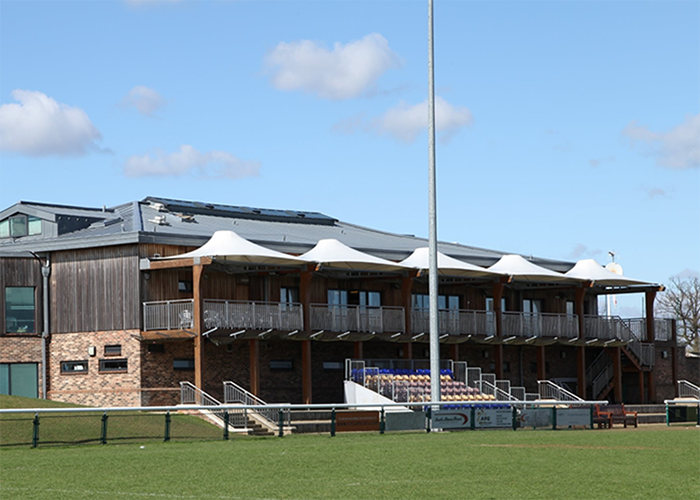 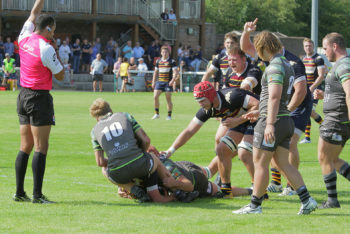 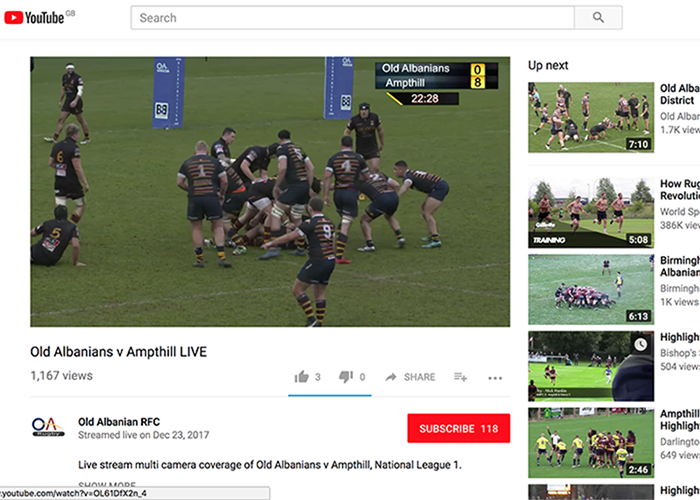 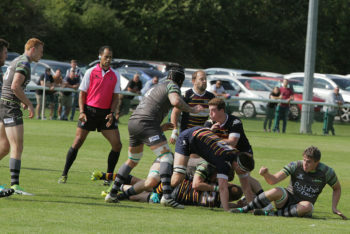 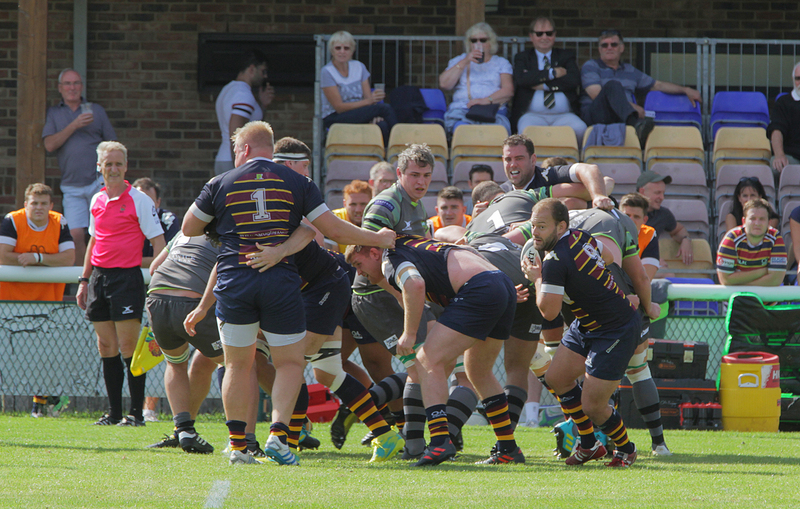 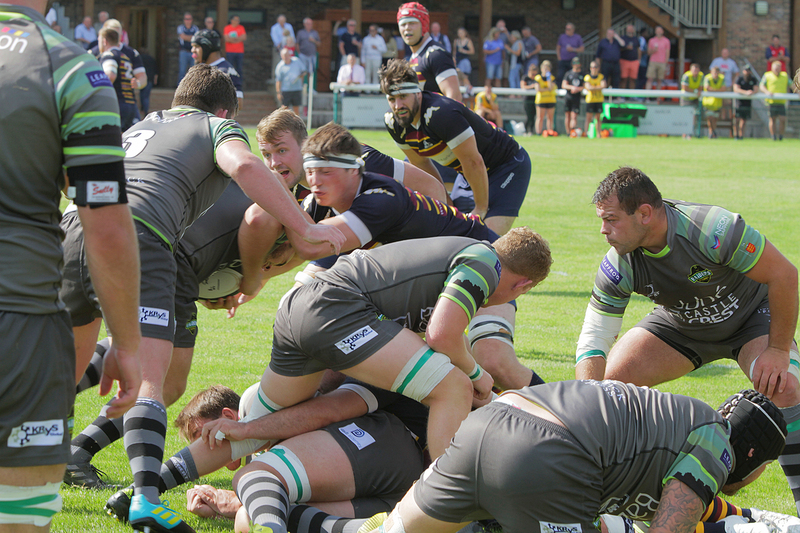 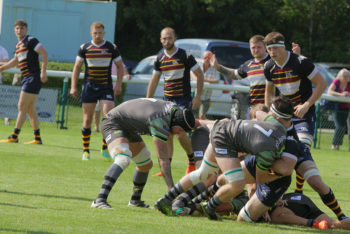 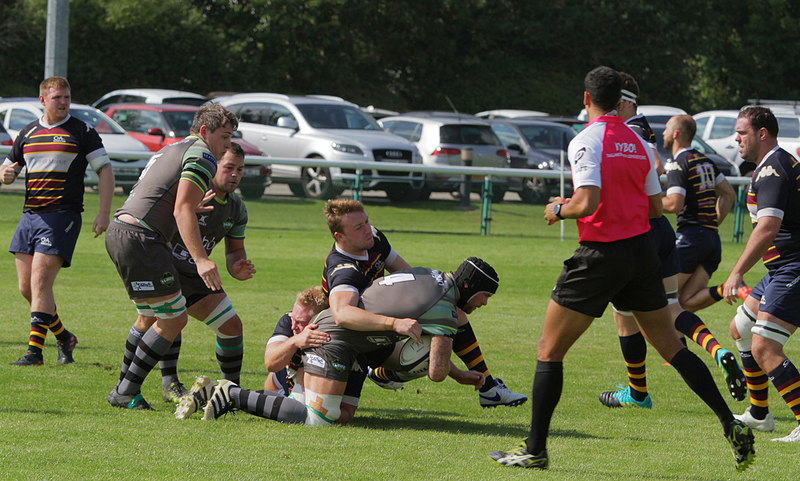 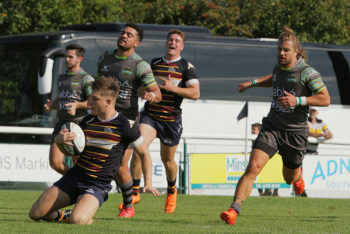 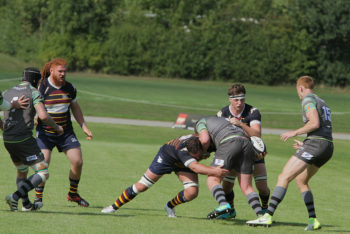 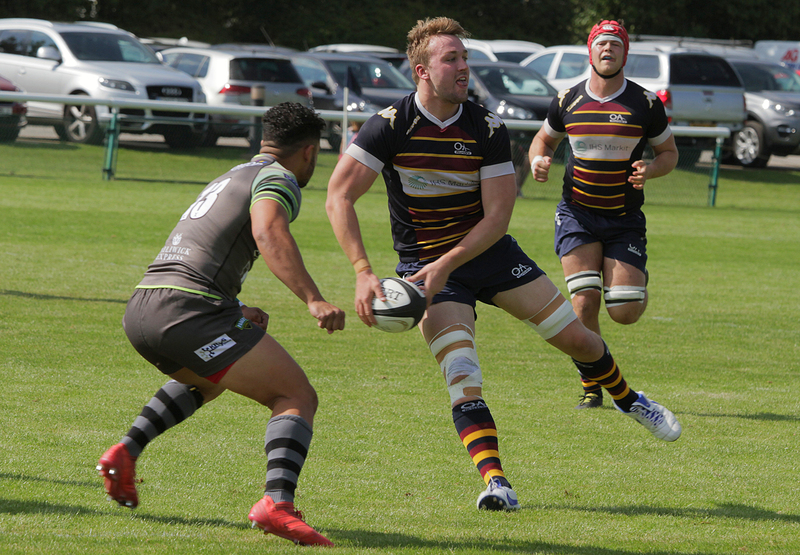 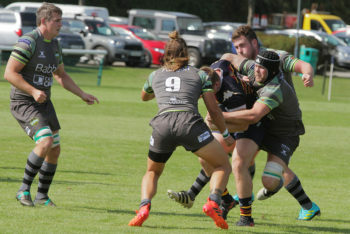 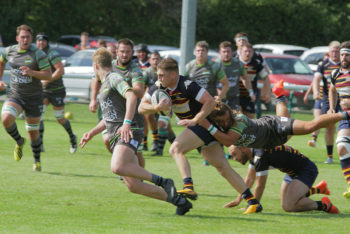 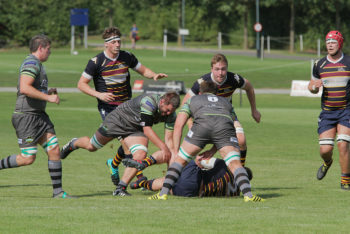 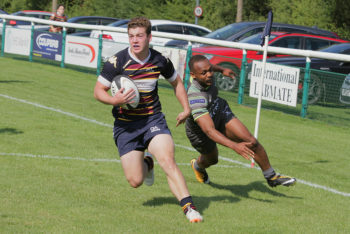 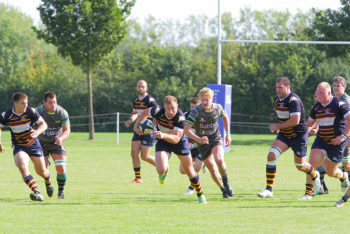 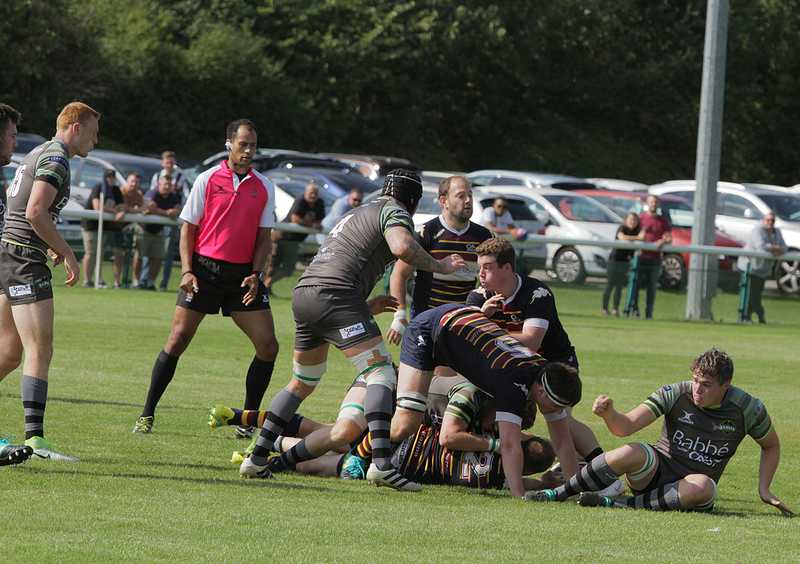 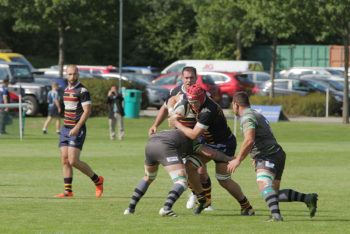 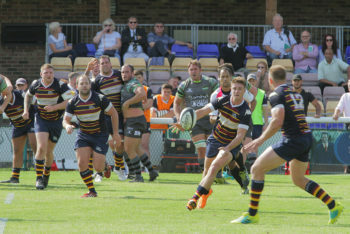 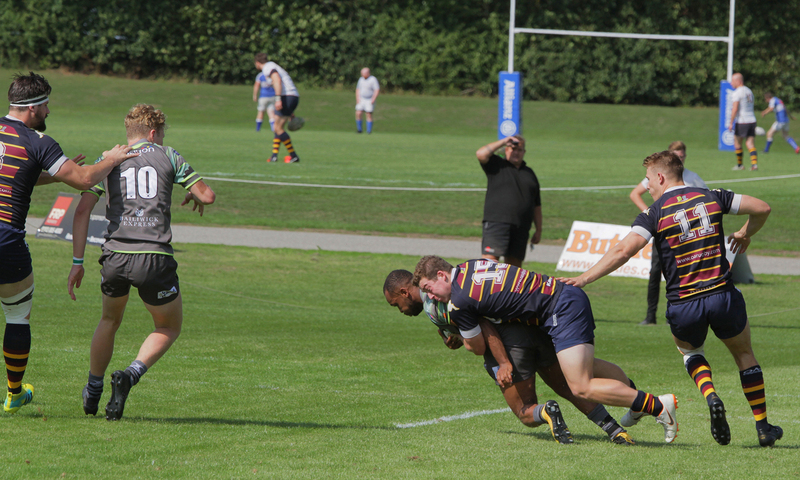 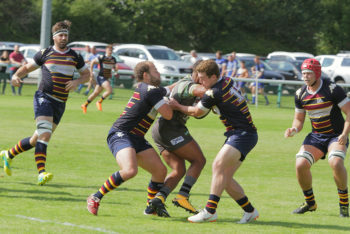 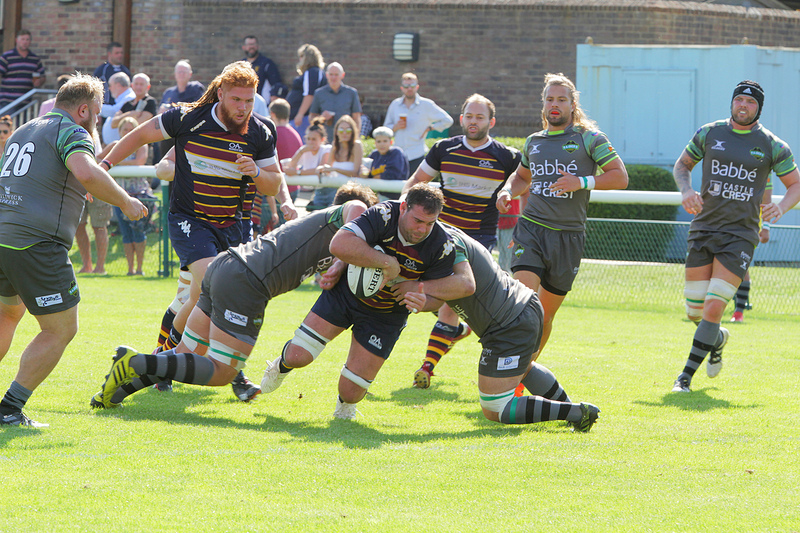 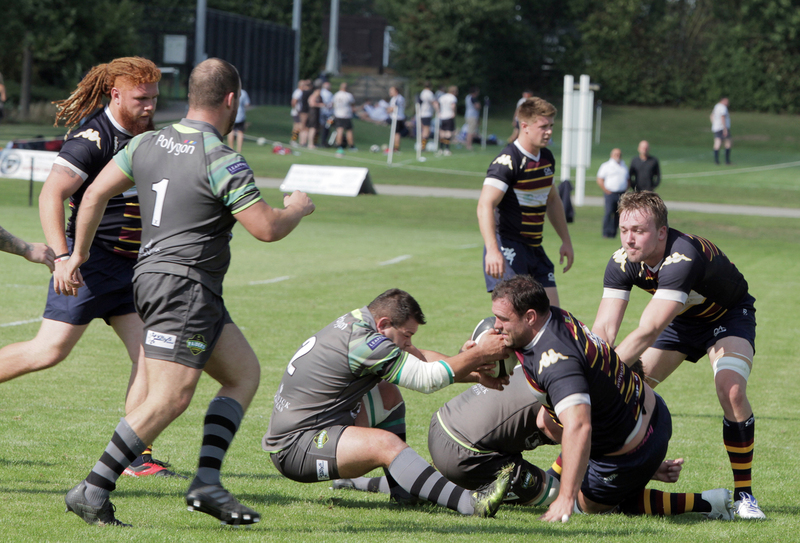 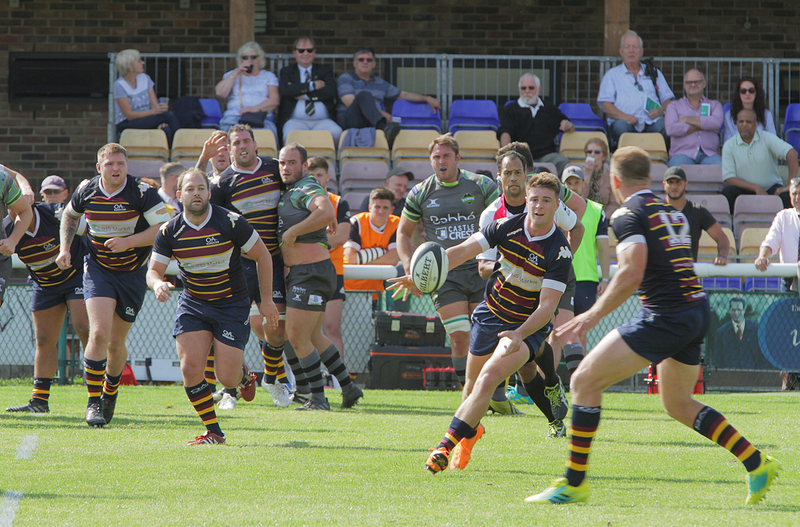 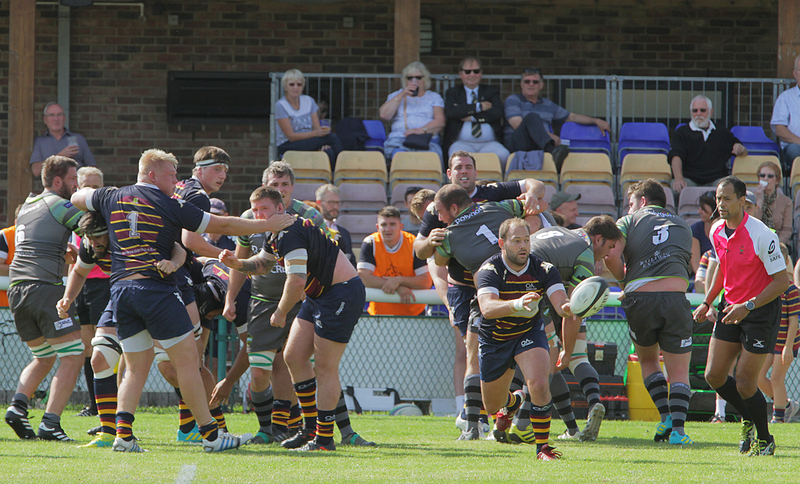 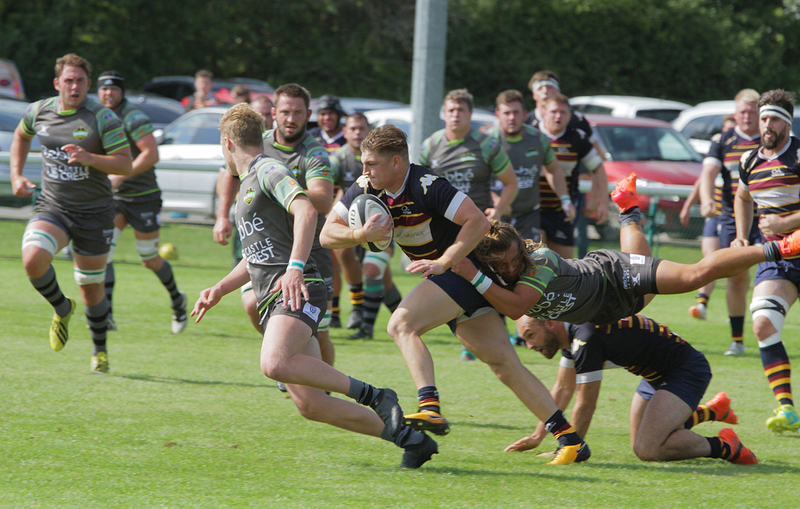 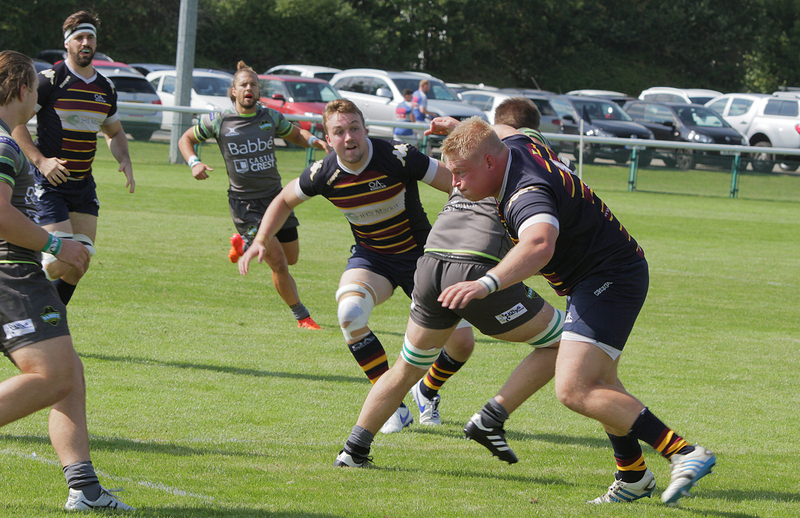 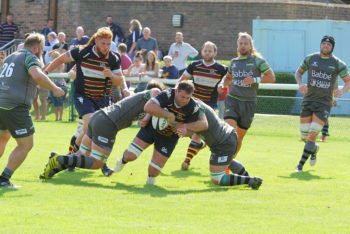 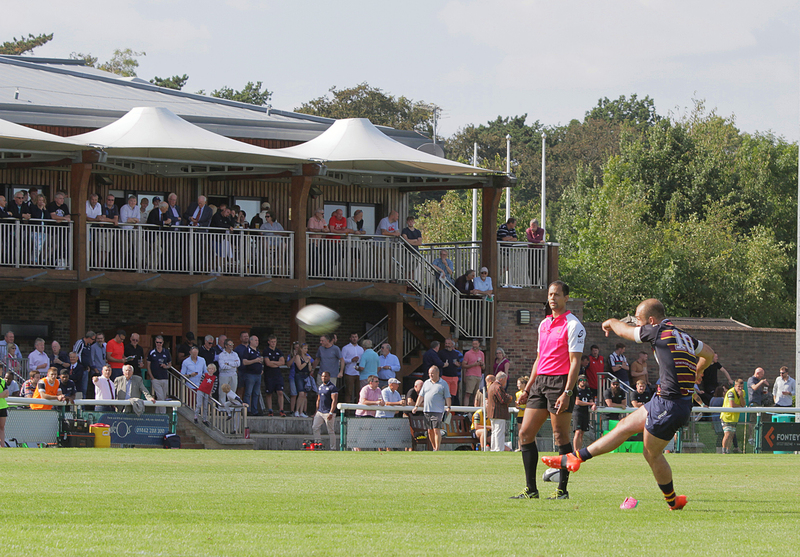 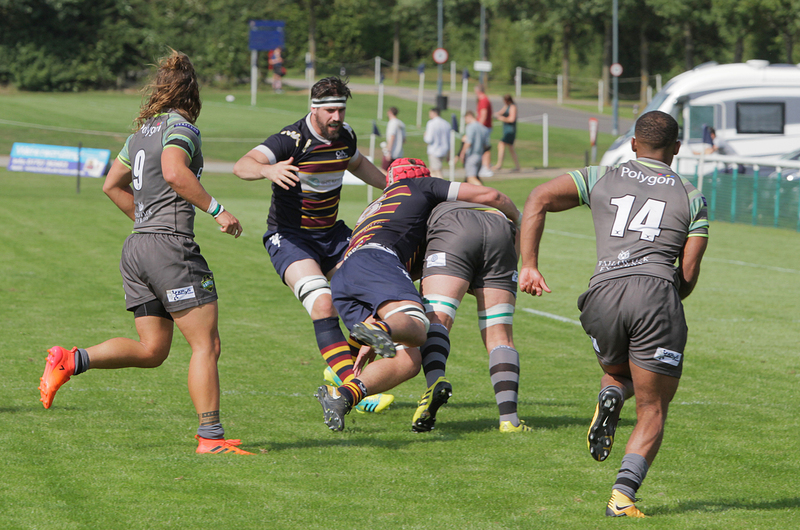 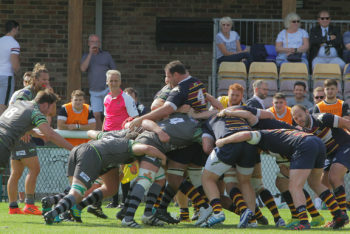 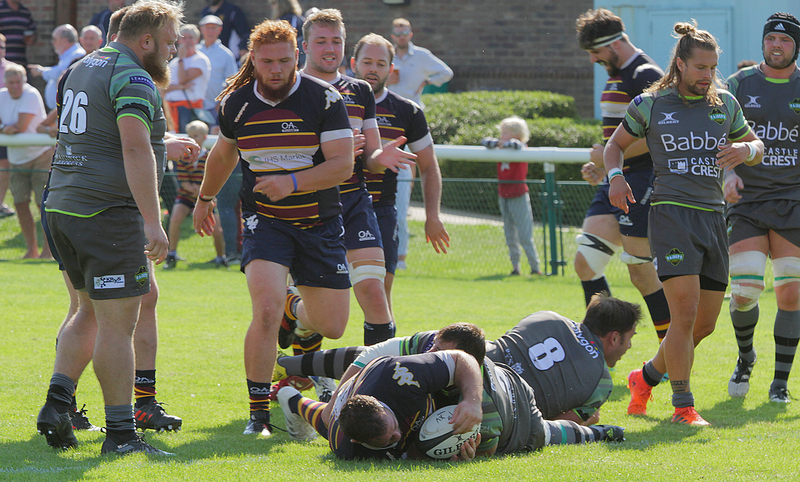 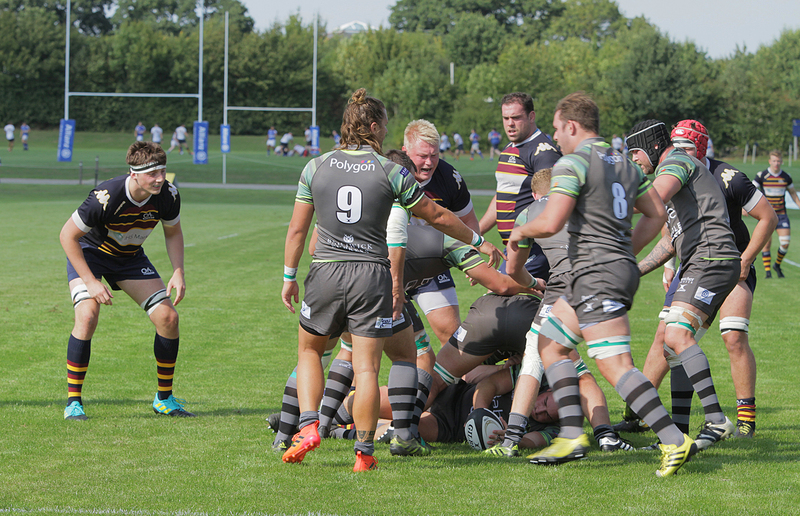 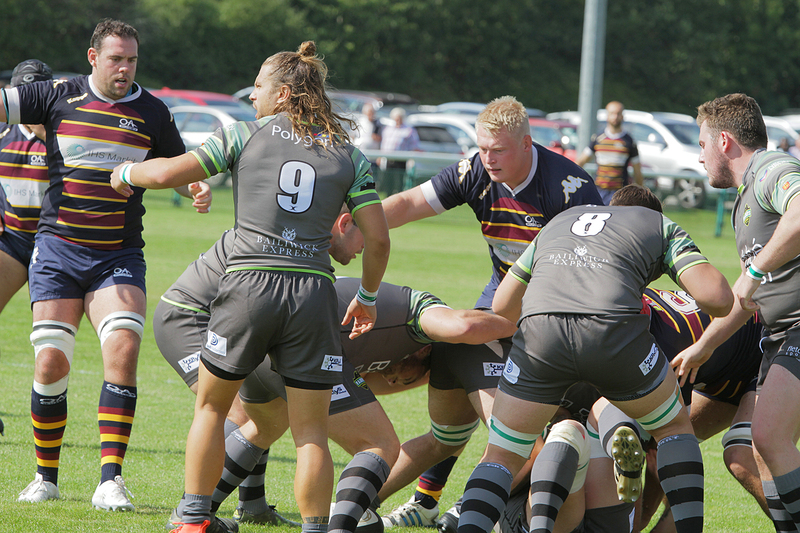 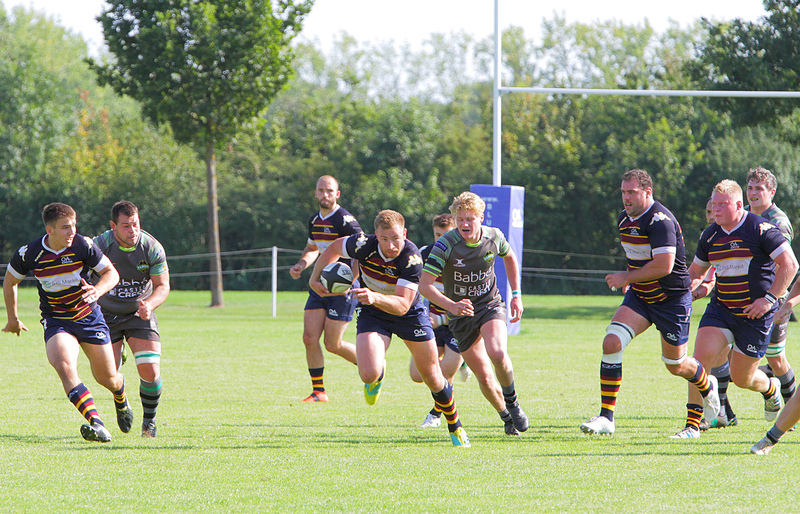 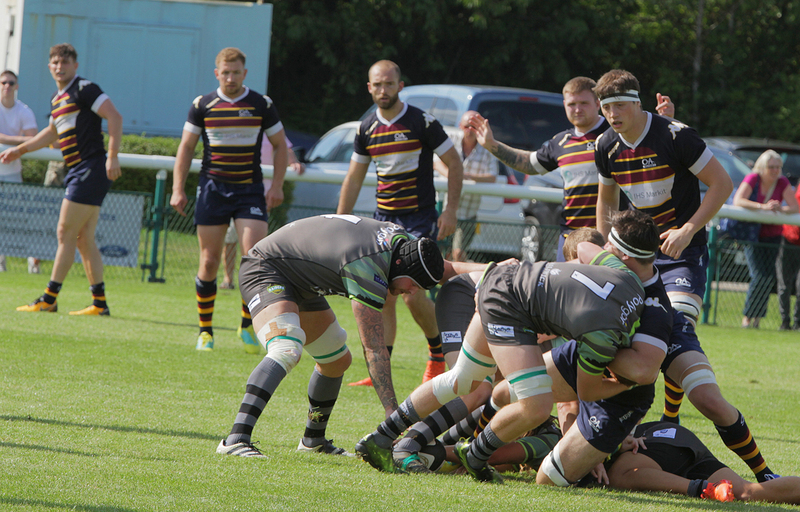 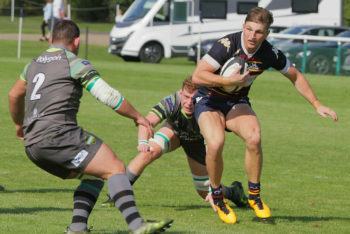 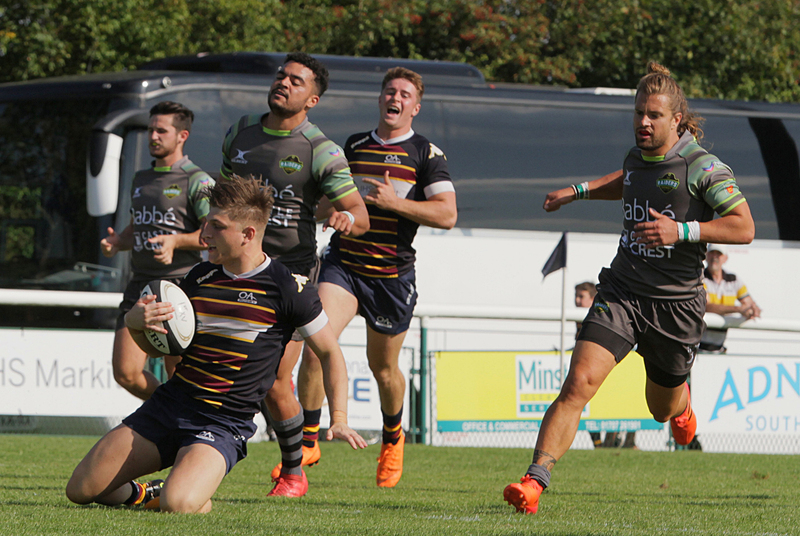 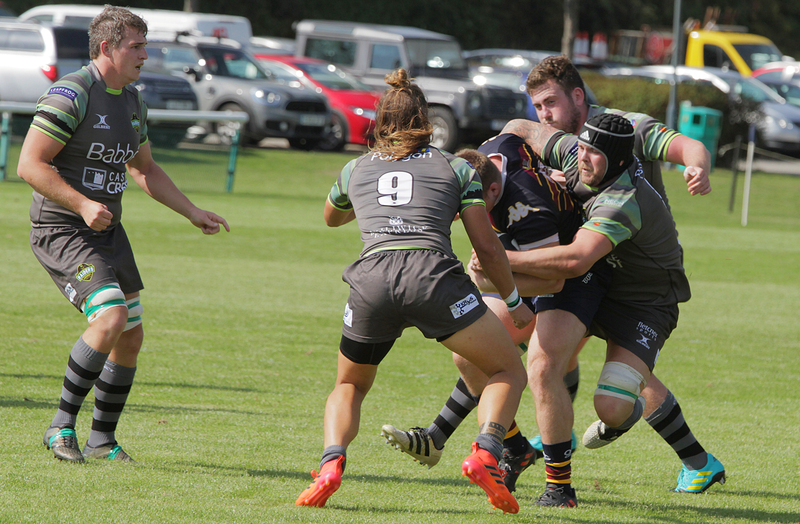 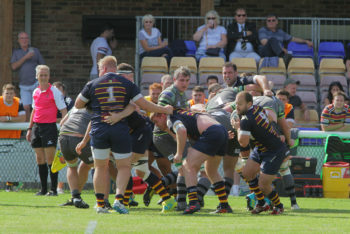 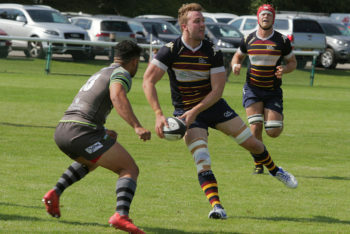 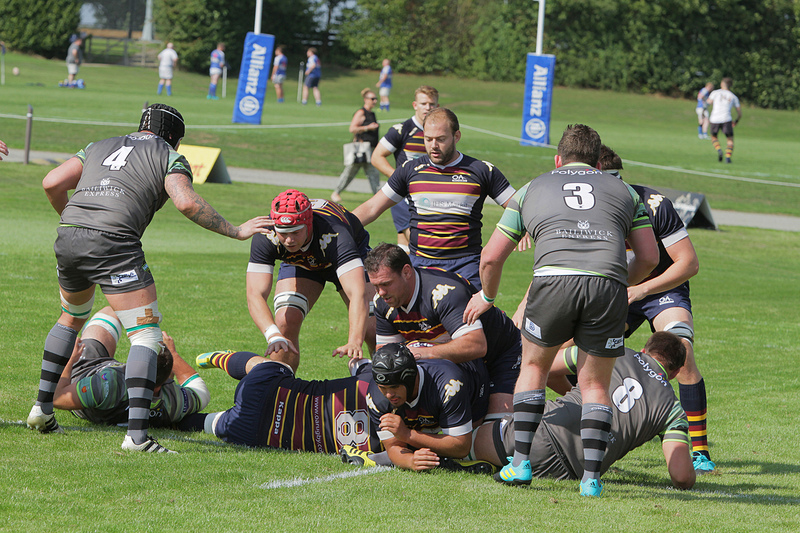 Albanians began the new Campaign with a resounding bonus point win over newly promoted Guernsey. 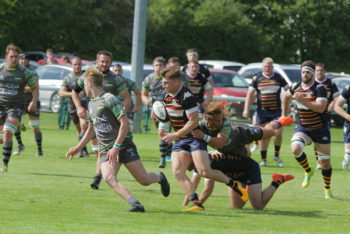 Gavin Hogg and his team will be delighted with the result even though they will find much to work on after a tiring pre-season. 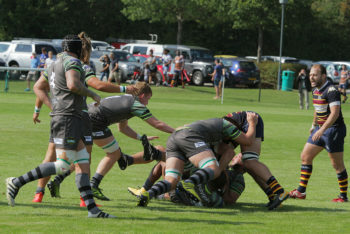 However it seemed at first that the eventual result might be a lot closer than the way things turned out for in the first ten minutes alone A’s shipped four penalties and donated two turnovers to their guests who, tellingly, were unable to take advantage of this largesse. 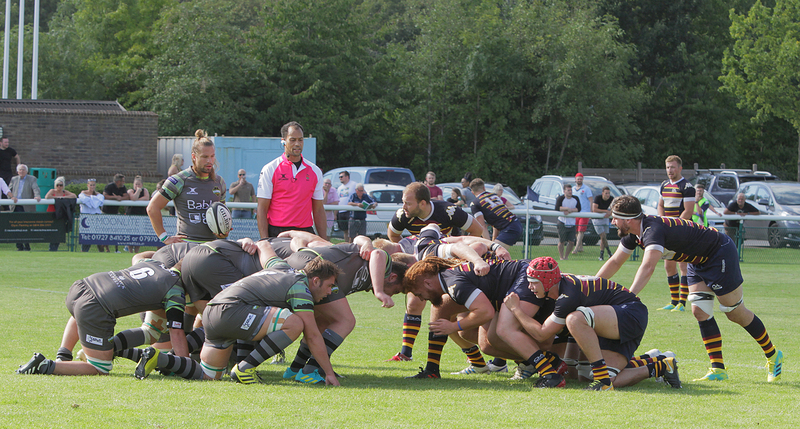 Almost thirty minutes passed before the scorer was troubled but certain details became evident in that time. 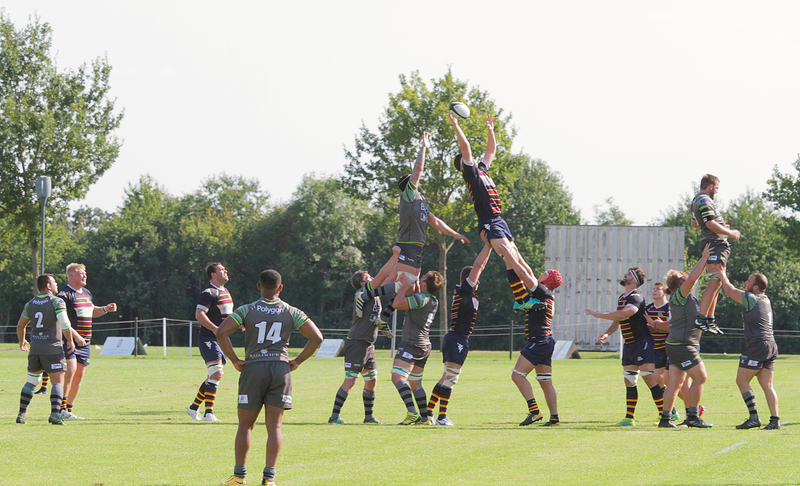 Albanian precision has to improve, particularly at the breakdown and Guernsey will have to overhaul their lineout which was shambolic throughout. 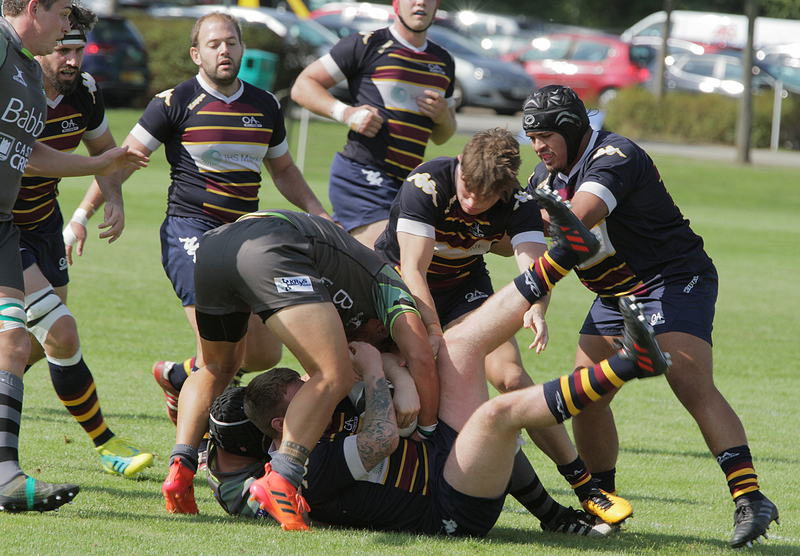 Not so their scrummaging! 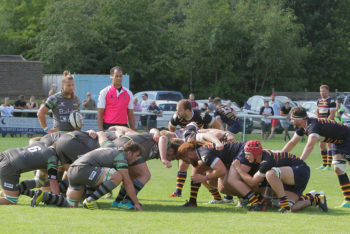 The visitors served notice they are going to be a match for most in this division at scrum time. 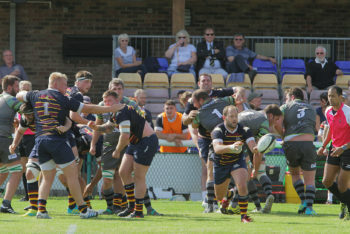 Yet the three remaining quarters belonged to the hosts who grew in confidence as time elapsed. 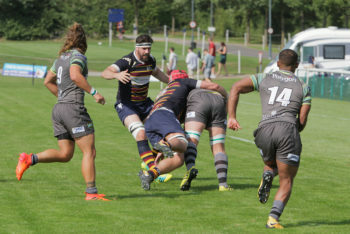 By the break Albanians were 21 points to the good. 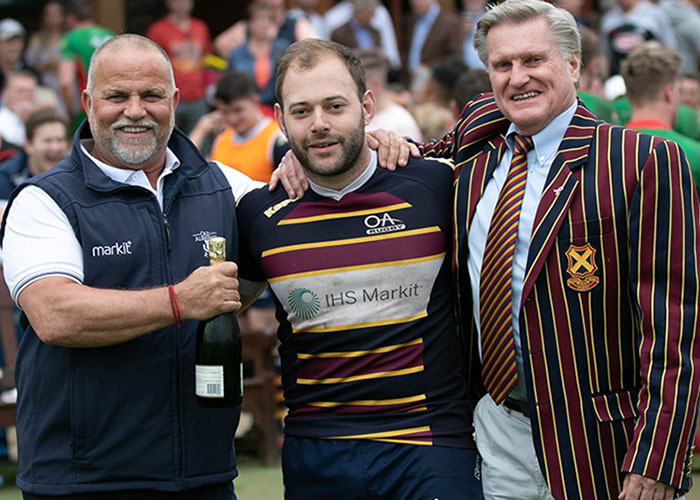 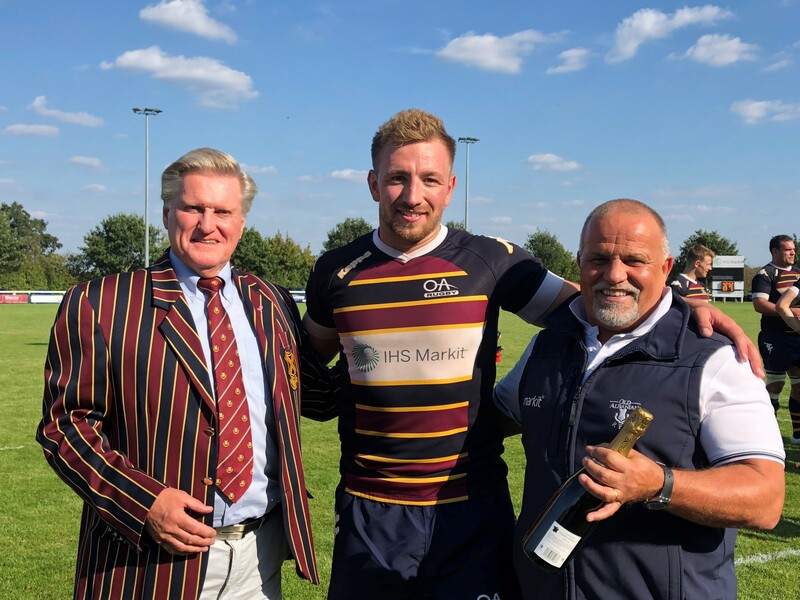 Dan Watt, best centre on show, Alex Noot, probably the fastest back, and Ali Brown, benefitting from Morgan Thompson’s sleight of hand, all crossed for Tom Bednall’s conversions. 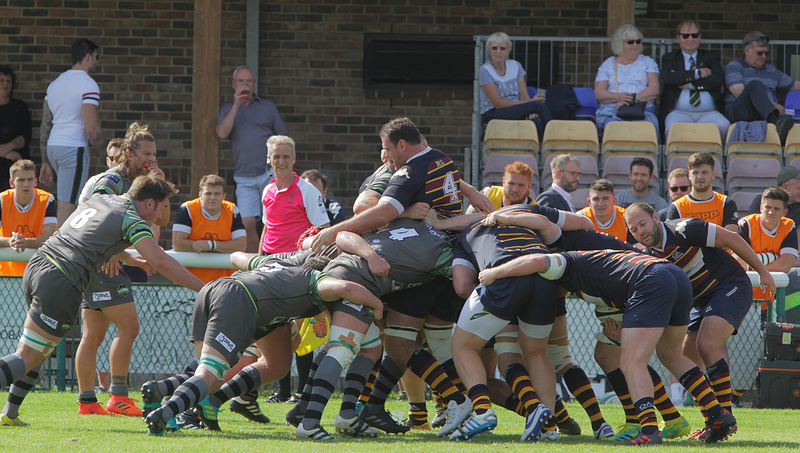 The visitors opened the second period brightly when Doug Horrocks was driven over but then the flood gates opened. 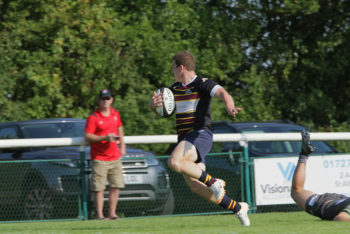 Skipper Ross Hamilton restored the margin and Noot took the crucial pass from Watt five minutes later. 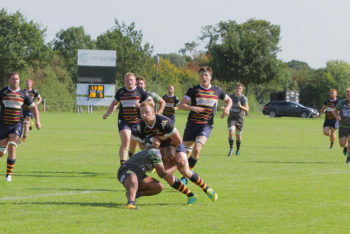 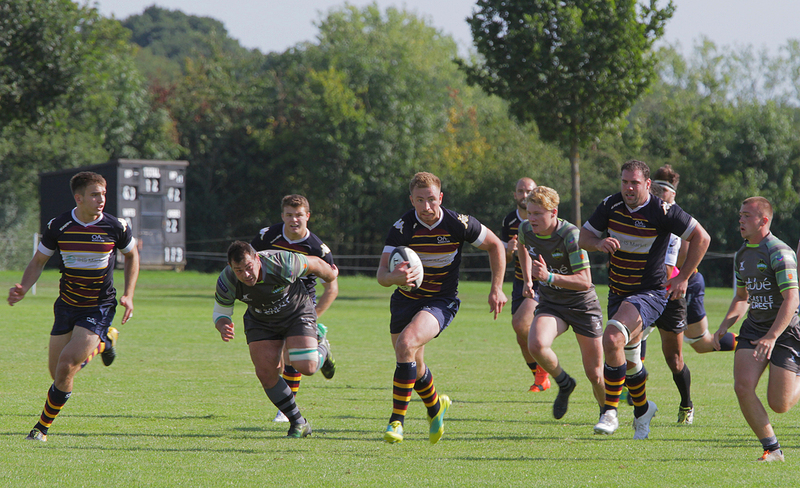 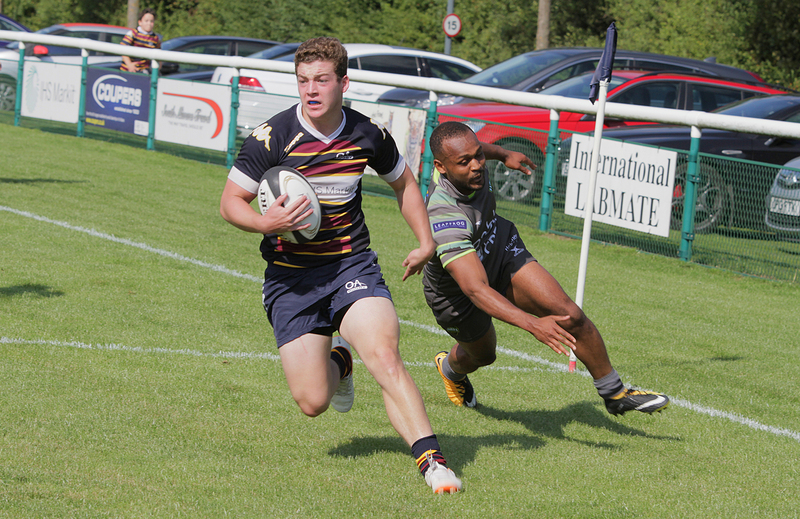 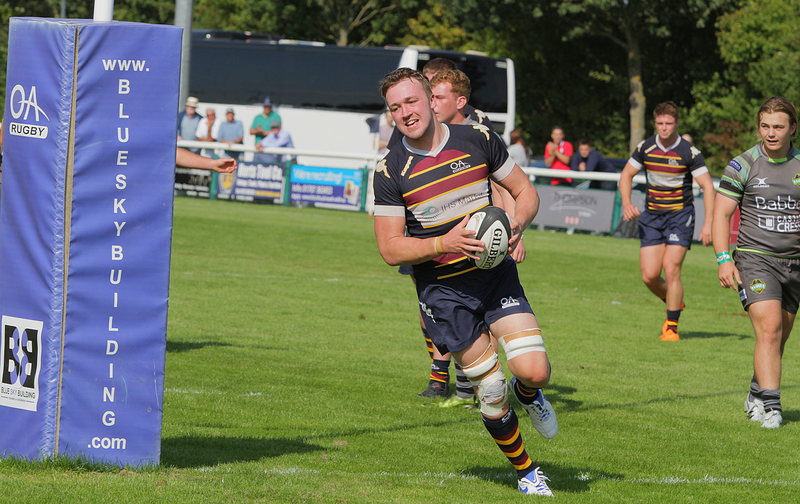 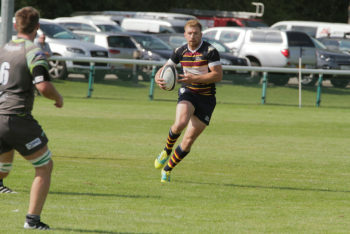 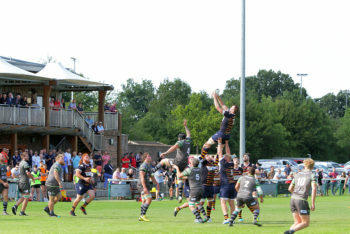 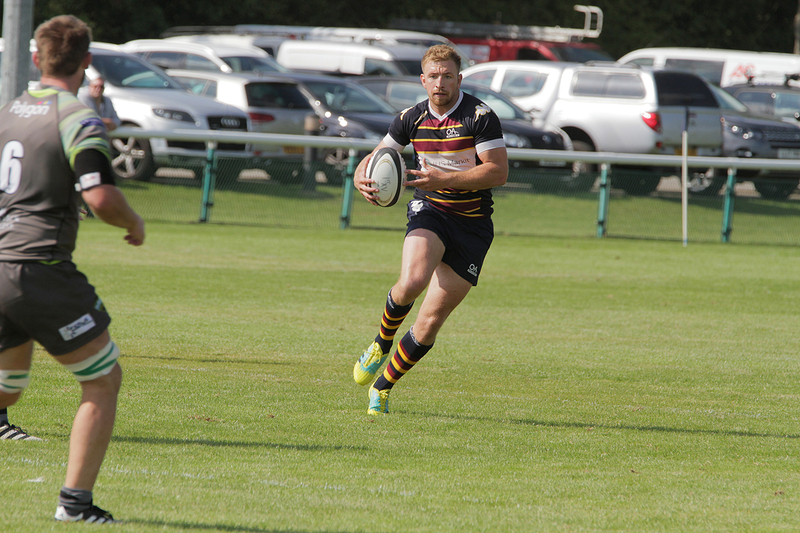 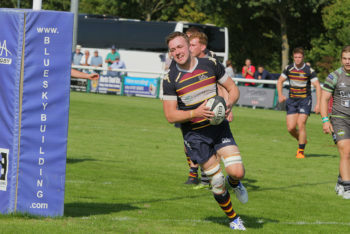 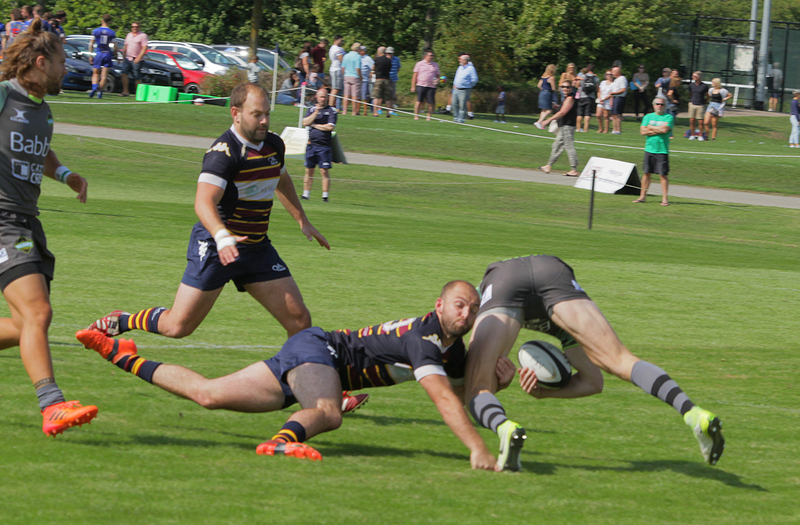 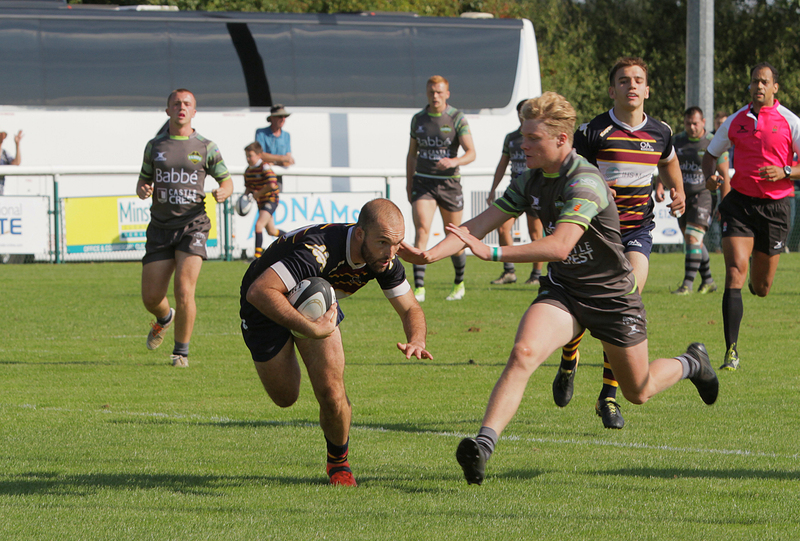 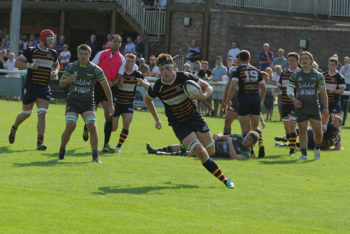 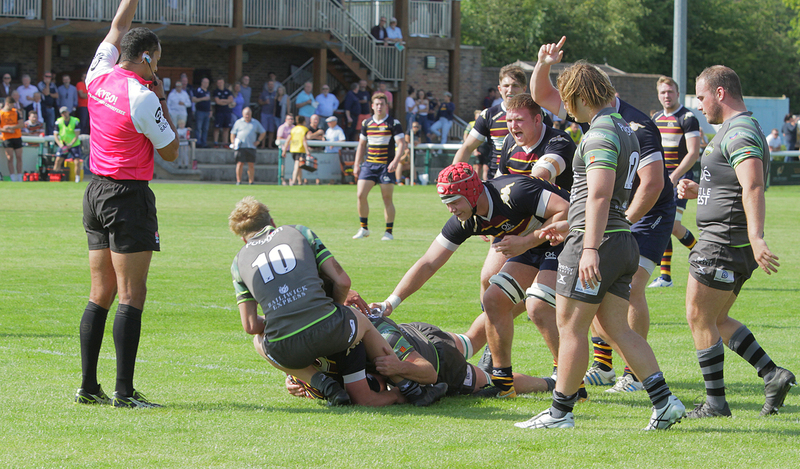 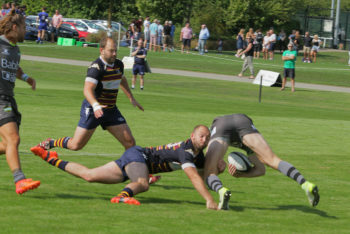 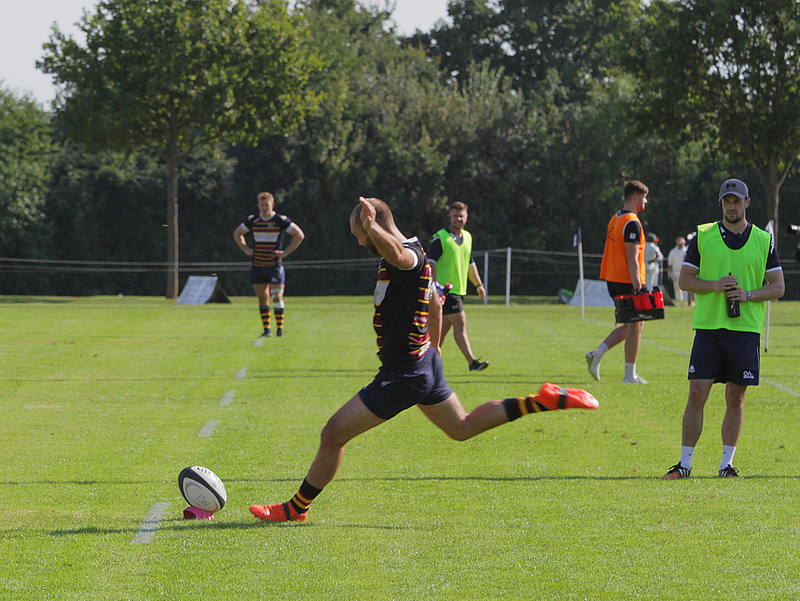 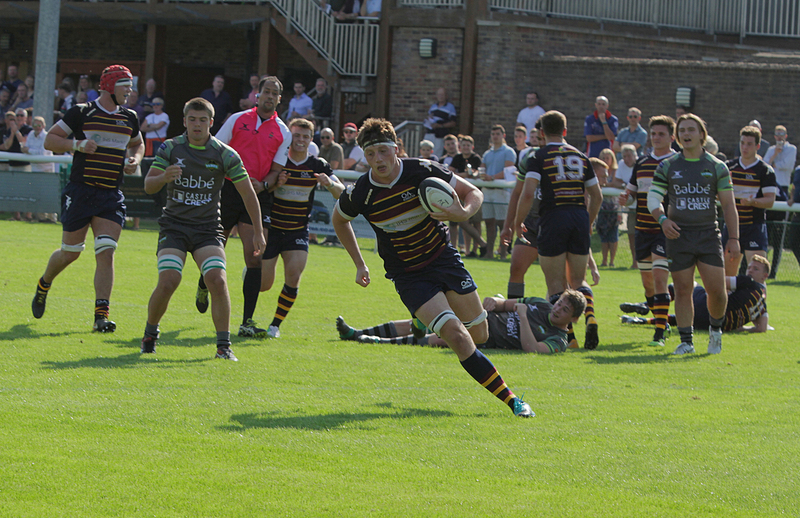 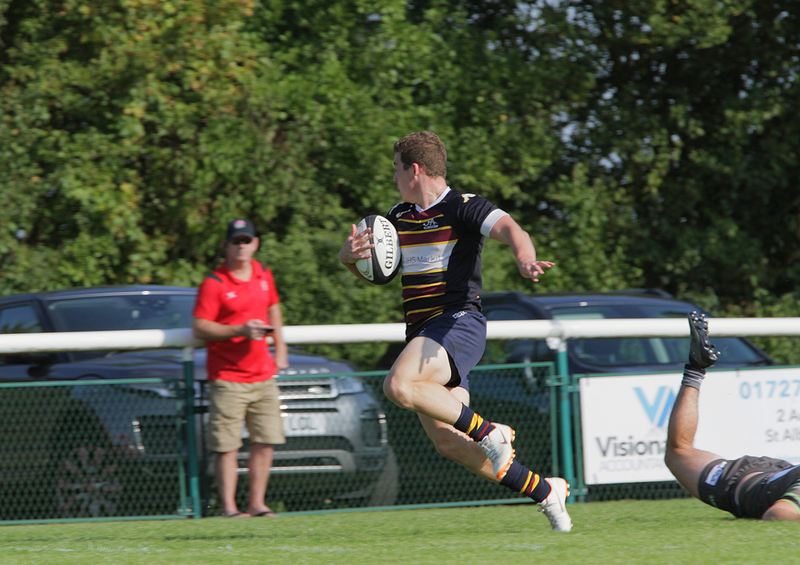 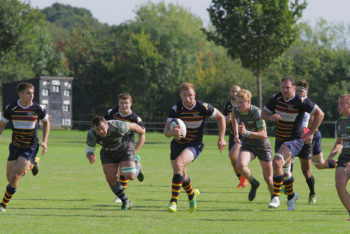 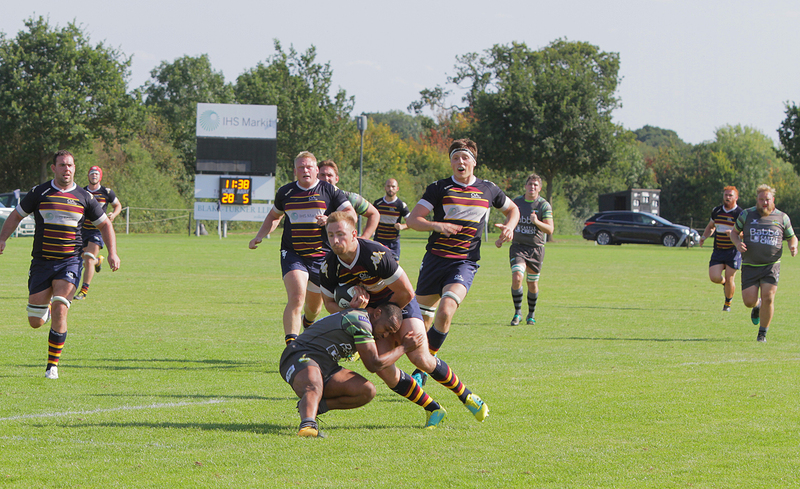 Bednall made up for a missed conversion with the next try which he improved before Tim Bond ambled through a massive hole in a tiring defence. 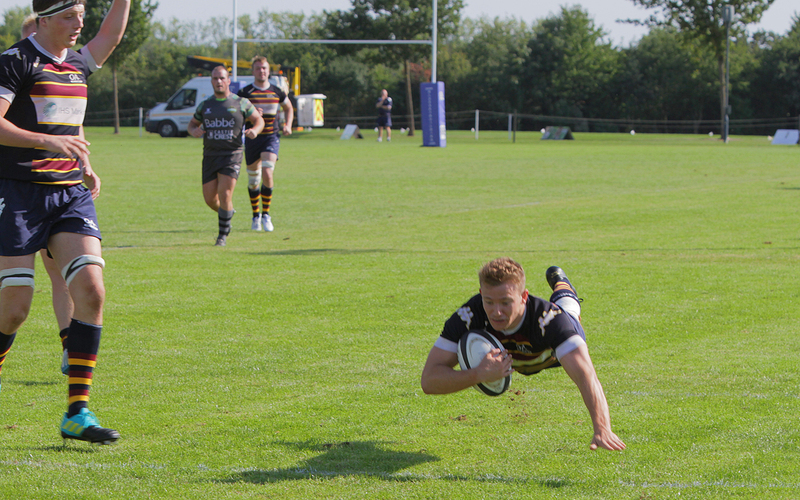 Watt and Tom Holdsworth combined and then Noot struck again, this time from halfway, to conclude matters. 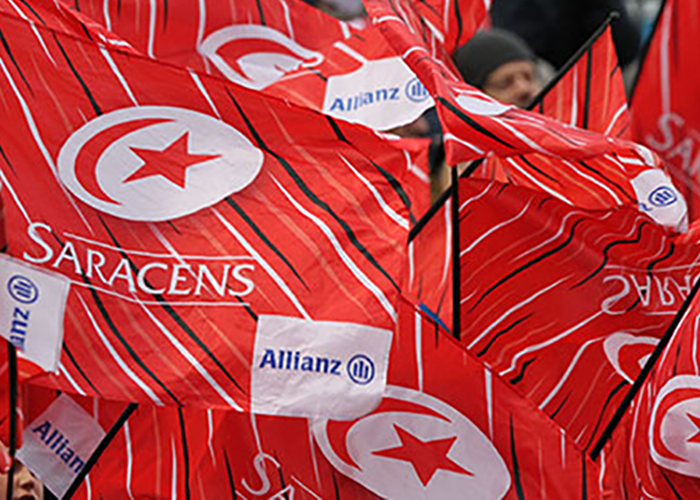 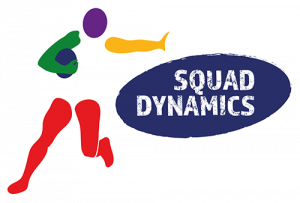 There will be tougher afternoons but home supporters will have enjoyed the level of skill Albanians displayed in most disciplines. 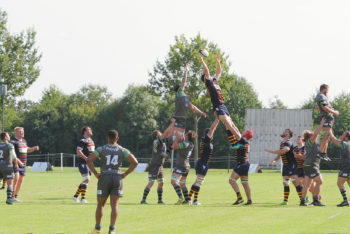 Though its true to say if passing in general had been a little more sympathetic the newly rigged scoreboard would have worked itself into a proper lather, the Albanian defensive attitude was first class all day. The lineout was workmanlike and effective but will be tested far more sternly in the months to come. 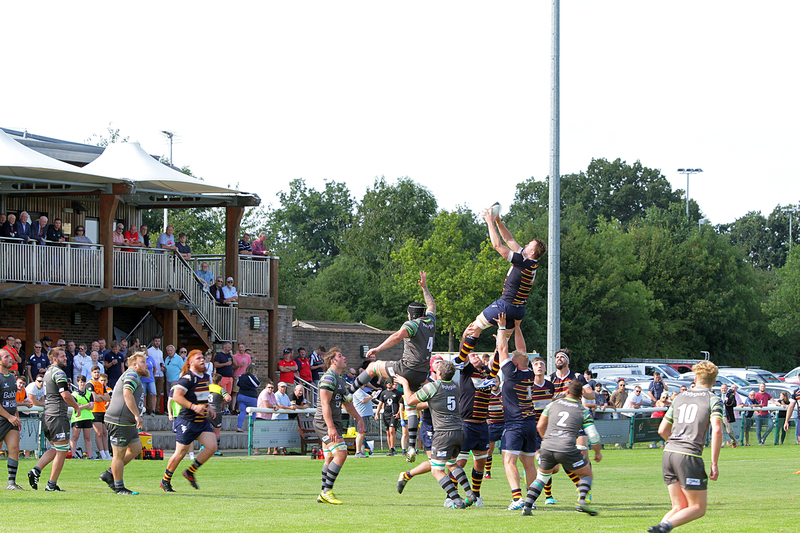 There have been no notifications of serious injury so this was, all in all, a good day at the office. 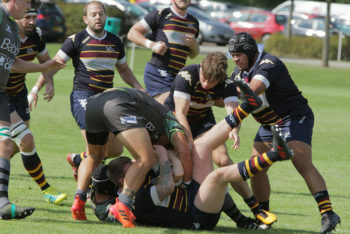 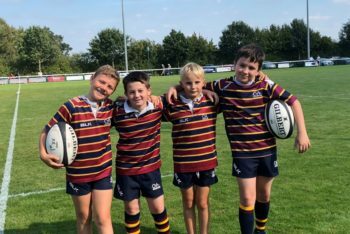 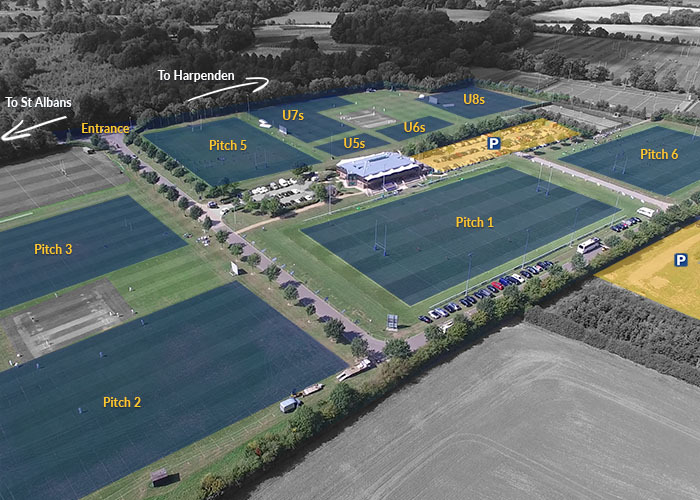 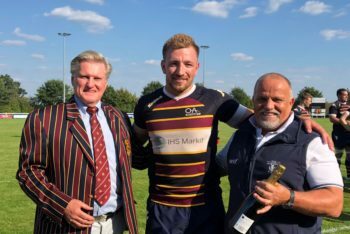 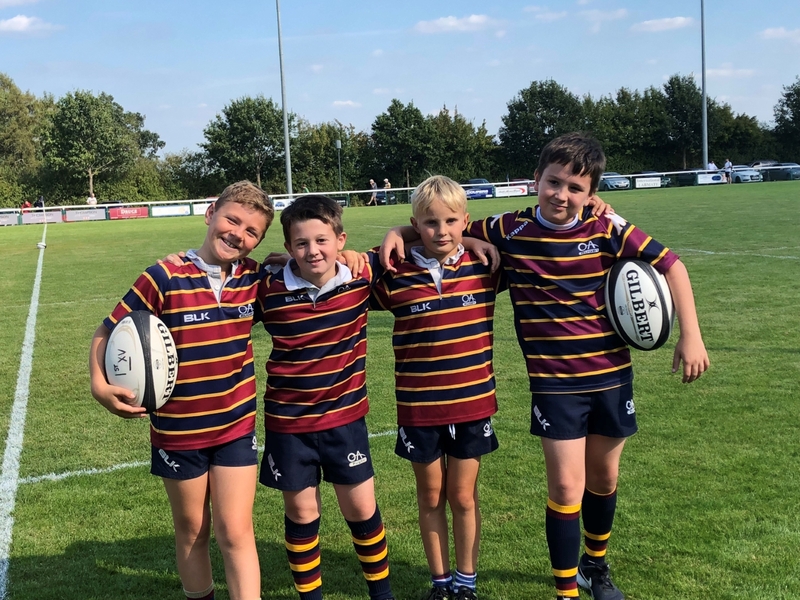 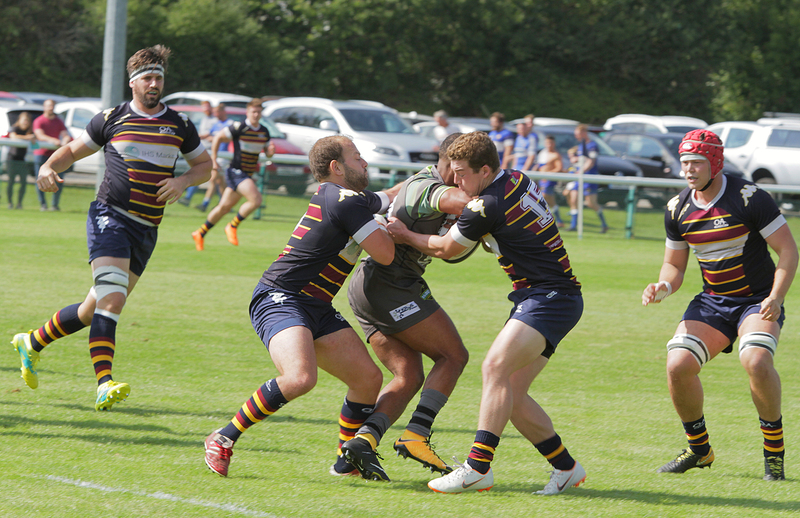 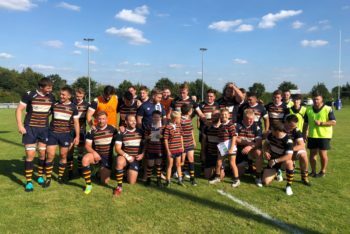 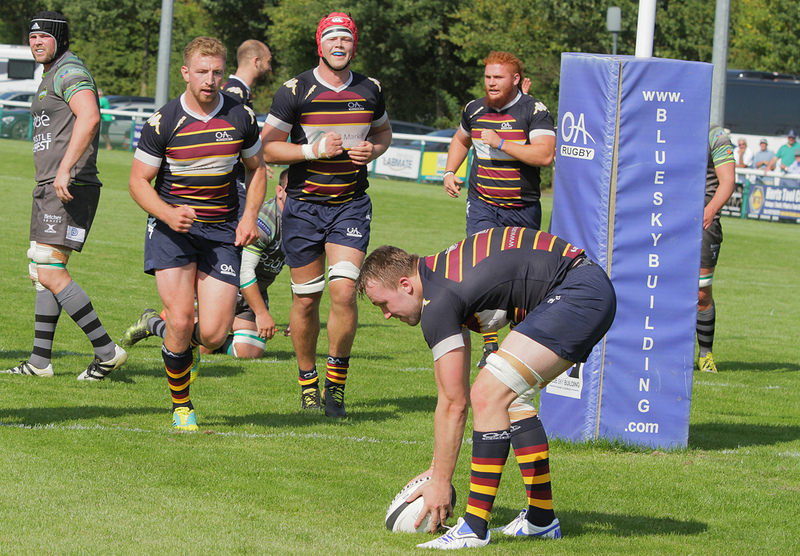 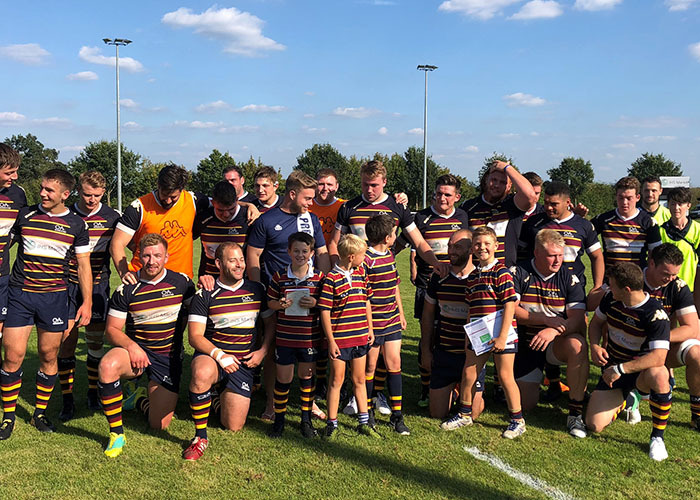 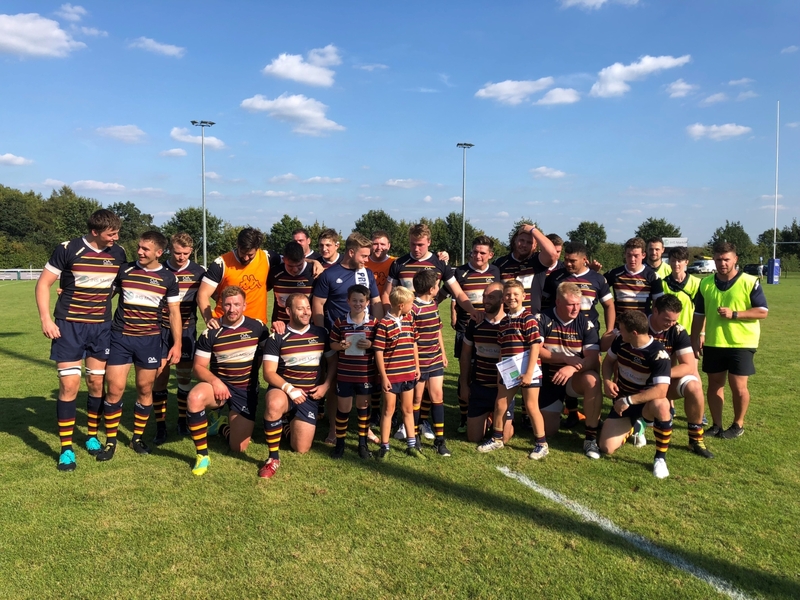 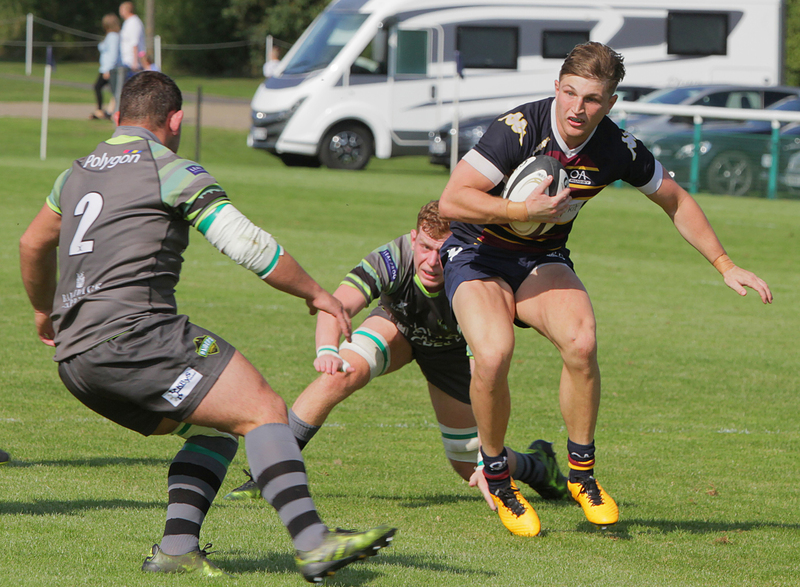 Bury St. Edmunds are next weeks visitors and will be looking to improve on their narrow defeat against Henley and also to rattle the cage of late coach Mr Hogg! 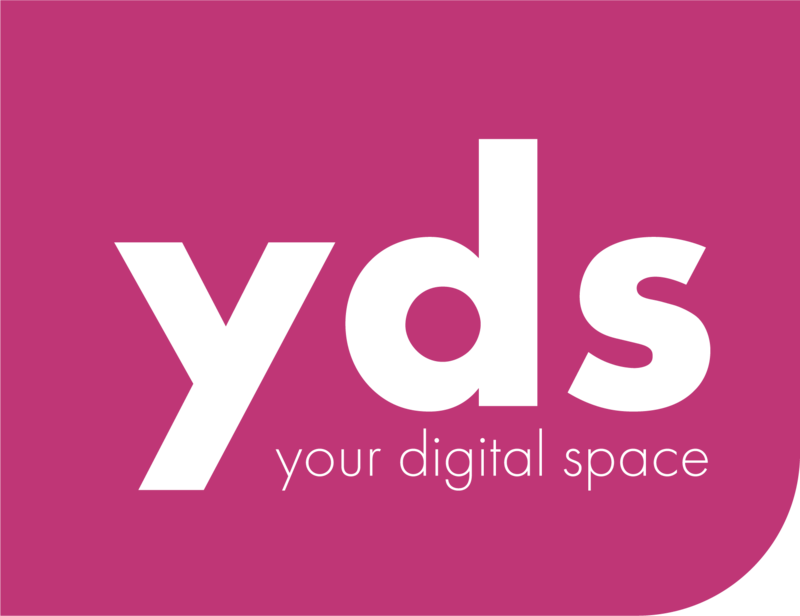 Kickoff 15.00hrs.